For the past 30 years, wealth has been passed from one generation to the other. The trend is quite clear. With the first generation, they tend to work very hard and garner much experience. They want the best for their posterity. The rule of thumb with wealth, however, is that it has a hard time transferring from one generation to the other. This can be seen through many empirical examples. Money is helpful, but dangerous for the second generation. The first generation, if they do things right and proceed in the correct manner, will be able to leave their legacy. 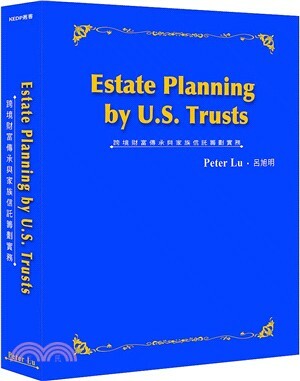 Estate Planning by US Trust will outline the manner in which to achieve this. When things do not proceed in the correct manner, they can turn into a bad transition. This could include employee fights, family feuds, and a waste of resources. Estate Planning by US Trust, through case studies, will show instances of successful and not so successful transfers of wealth within families. These cases will also show readers what founders could have done, or if they had taken the time and effort, what they should have done. The second generation can use these examples to make a better framework to transition. By looking at the first generation, the subsequent generations are able to garner the mindset of power. Often, there is a conflict with successive generations due to differing mindsets. An explanation for this is that the first generation is from Asia, hence, they have Asian values. The second generation tends to be from America. This creates a rift between the different cultures and mindsets. This creates a loss of opportunities when communication is not efficient and things get lost in translation. In the author’s perspective, the second generation tends to ignore or does not want to deal with the business that their families are part of. This eventually leads to familial conflict. The second generation may be very well off, but despite this, it is their responsibility to understand the business and manage it. The first generation is going to have an odd dynamic. This paragraph explores odd characteristics of leaders and households. The first generation has had to go through strict tests and excelled. They also had strokes of luck that benefited them. Compared to the second generation, the first may be more liable to subjective opinions from experience. This mindset is often quite difficult to explain to the second generation. Unless there is a major accident, be it a blight to health or something detrimental to a business, the matter of transition is not spoken about in a household. As a result, oftentimes, the second generation may not know about or fully understand the first generation’s agenda. Over 30 years, the author has dealt with families who deal with these conundrums. The author also finds that his clients, first generation wealthy households, tend to have some sort of resistance to the process. One issue that comes up time and time again is that since families tend to spread around the world, they might not report all their taxes to each of their respective countries. Since people do not want to pay more taxes, the author has deep faith that he can help people who are in this situation. The second generation, understandably, worries because they live in the States and they would have to deal with taxes. There are two issues that arise from this situation―the first issue is that CPAs warn these generations to pay their taxes, but they do not. The second issue is that the first generation wants to enjoy the money that they have made and do not care about inheritances. They end up splurging their money. This reckless spending ends up worrying the second generation and they do not know how to manage the situation. Sometimes, even if the first generation wants to plan a transition, they often start too late, have no time, or even think that they will not die anytime soon. The first generation had assets, public stocks, gold, jewelry and the like. This generation does not know or does not care about what happens to their assets after their death. The second generation, however, may what to know what to do with the assets because they might have to deal with different taxes or other complications. In traditional Asian households, typically, it is the first generation that makes money. The second generation tends to keep that money within the family, but the third generation has a tendency to lose the money that was made in the first generation. Looking at the overall trend of the different generations, the first generation makes money and is adept at retaining it because they are saving, frugal people. The first generation spends very little, whereas the third generation typically just wants to cash out. These people tend to splurge on sports cars, jets, yachts and items that are overly opulent and excessive. The key question that the author would like to pose to the first generation is if they really want to see this happen to the third generation? The process of wealth transition is not an easy one. This extremely difficult art is important for families to take on and know that this is a critical challenge for them. This problem is further promulgated by the fact that second and third generations tend to not live in Asia, but their assets are in Asia. This leads to mismanagement of their assets. Furthermore, the second and third generation does not or has a difficult time understanding the culture, laws, and regulations of Asia. The definition of wealthy is different in Asia and America. If one is wealthy in America, the western ideal is that these people donate and build large organizations to help those who are in need. On the other hand, in Asia, the family structure tends to save and give to the next generation. They do not invest too much in nonprofit organizations. A reason for this disparity may be because, in the west, the wealthiest care about society, the furthering of society and what they can do to help that agenda. The second and third generations typically have westernized values, so they might end up donating to nonprofits. This can lead to confrontation and conflict with other family members who do not share the same mindset. Over one or two decades, conflict in the family will brew and this leads to generations not being able to effectively communicate with each other. The first generation’s first priority is to give to the second generation. They only want to give once they have a mass excess and the welfare of their posterity is secured. Once this is achieved, they want to then donate and leave a lasting impact, but they do not necessarily know how to do so. There are four big questions to wealth transition. The first question is what is the cost of transition from generation to generation? The second question is what are the possible conflicts that can arise from transition? The third question is what to do about debt? Companies may rely on credit to function, so what to do about the debt that they have incurred? The fourth and final question is what to do if the second generation is unable to transition? Estate Planning by US Trust aims at building an effective communication channel between generations of wealthy families to solve those issues arising from the inheritance process.